Surf City and Annex surf shops owner Mike Barden, buyer Lisa Yeary and clerk Logan Beam at Annex’s new location at 530 Causeway Drive. The store moved from its 534 Causeway Drive location as Virginia Beach-based coffee shop Zeke’s Beans & Bowls eyes expanding into the location. Staff photo by Terry Lane. As a successful Virginia Beach-based coffee and breakfast shop is seeking a conditional use permit to operate in Wrightsville Beach, the business formerly located in the Causeway Drive location has already moved next to the local surf shop. Town staff recommended approving Zeke’s Beans & Bowls for the location on 534 Causeway Drive, where both Annex Surf Supply and Sean’s Private Surf Lessons were housed until last April before moving into a location next door at 530 Causeway Drive. Zeke’s Beans & Bowls has a Virginia Beach, Va. location that has already proved successful, a town memo said. The restaurant’s conditional use permit for the location will be reviewed by the town’s planning board on June 5 and will go before the Wrightsville Beach Board of Aldermen at its June 14 meeting. In addition to gourmet coffee, the restaurant plans to serve fruit-based Acai bowls, salads, pitas and other healthy food. Mike Barden, owner of Annex Surf Supply and its sister shop, Surf City Surf Shop, said he was working to help bring the restaurant to Wrightsville Beach, noting that its success in Virginia Beach shows it can be successful here. Meanwhile, the boutique surf shop that Barden ran out of the location for five years moved in May to the location next to Surf City Surf Shop.Bringing both surf shops under one roof will help expand both customer bases, Barden said. “Having both concepts under one roof will make it easier to traffic the two spaces,” Barden said. Where Surf City Surf Shop offers the more standard surf clothing, Annex Surf Supply, which is now directly connected, will continue to offer more boutique clothing items, as well as feature local artists. While Annex offered coffee and light snacks at the 534 Causeway Drive location, it will now stick to clothing and other surf accessories. It will also continue to operate the Annex Surf Club. 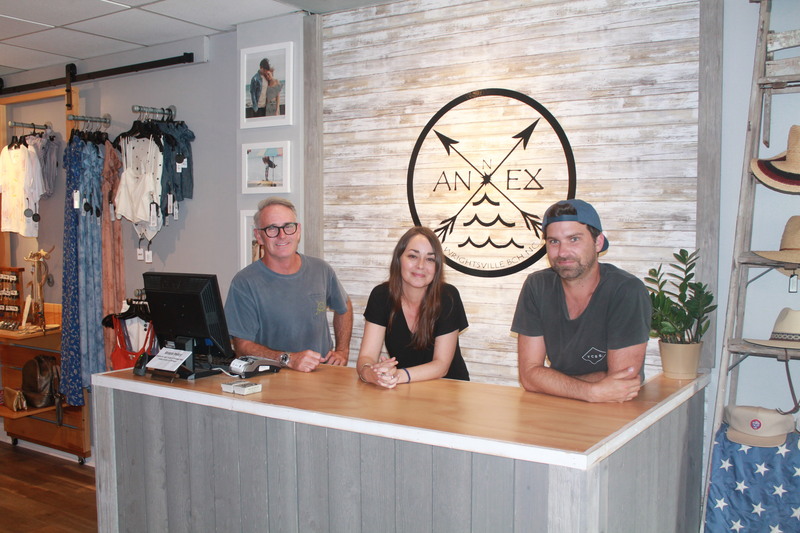 “Annex features the smaller, up-and-coming surf brands,” said Surf City Surf Shop buyer Lisa Yeary. 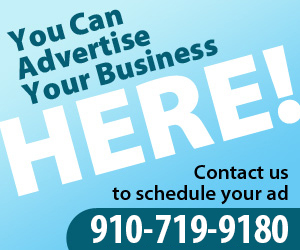 Also coming to Surf City’s 530 Causeway Drive location from 534 Causeway Drive is Sean’s Private Surf Lessons, which will operate a kiosk out of Surf City.